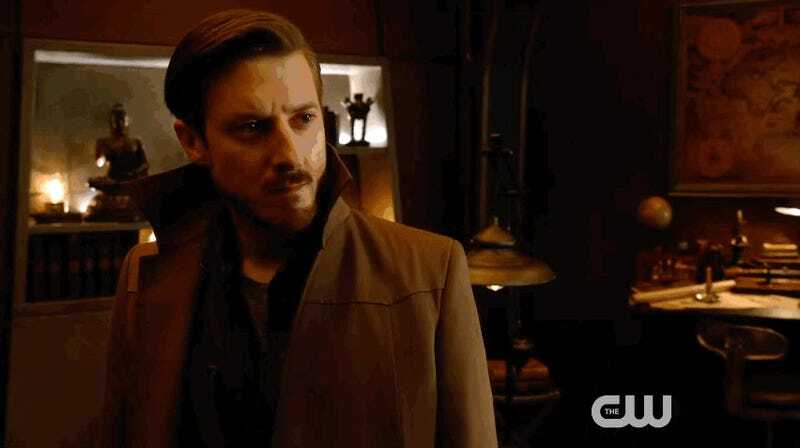 It’s by punching Rip Hunter (Arthur Darvill) in the face. Hey, if Jonah Hex (Johnathon Schaech) delivering this justly deserved bit of frontier justice to the rogue Time Master doesn’t get you on board for this show, nothing will. Time travel is pretty much just an excuse to put actors in hilarious outfits. Plus, we’ve got baby Talia al Ghul in this footage, and Ray Palmer looking at room full of statues of himself. This is trying for epic—and it nearly gets there—but it’s the joyfully goofy parts that work best.